The Organizing Committee of ICAE2019 warmly invites you to attend the 11th International Conference on Applied Energy during Aug 12-15, 2019, in Västerås, Sweden. The theme of ICAE2019 is “Innovative Solutions for Energy Transitions”. As the conference chairmen, it is a great honour for us to make an invitation for all of you to this exciting event, with the cordial hospitality and the warm welcome of Västerås. As a continuation of this prestigious conferences series, we will follow the style of the former nine successful conferences, held in Hong Kong, Singapore, Perugia/Italy, Suzhou/China, Pretoria/South Africa, Taipei/Taiwan, Abu Dhabi/United Arab Emirates, Beijing/China, Cardiff/United Kingdom and Hongkong to have you enjoy the program and social activities provided by the host. 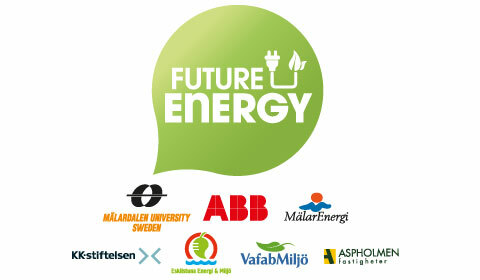 We are looking forward to seeing you in Västerås, Sweden. Please use paper template for submission. 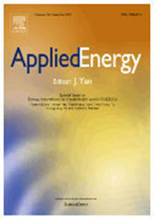 All papers will be peer reviewed before being accepted for the 11th International Conference on Applied Energy (ICAE2019). Click to download Proceedings of ICAE2017, Proceedings of ICAE2016, Proceedings of ICAE2015 and Proceedings of ICAE2014 at Energy Procedia. A A registered author is only allowed to present maximum one paper (either oral presentation or poster presentation). Founding Director Center for Sustainable Communities, Institute of the Environment and Sustainability, UCLA. – Impacts of and on Urban Development and Digitalisation. Building energy use, electricity and natural gas consumption, coupled with grid infrastructure and building characteristics such as age, size, use, industrial classification code of users, and sociodemographic characteristics of consumers, can reveal a great deal about cities. With a desire to decarbonize building energy use, it becomes critical to know the baselines of the current system to inform urban development patterns into the future, and the use of digital information and technologies. In the California case, new development will need to be zero net energy, integrate solar technologies, and at the same time, going forward soon, is the implementation of time of use pricing. This is a complex mix that requires, at a minimum, knowledge of the multiple components of building energy use today, including grid capacity, for a just transition. 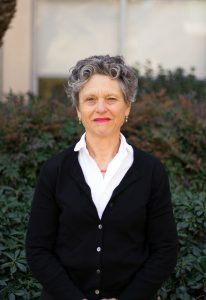 Stephanie Pincetl is a Professor in Residence and founding Director of the Center for Sustainable Communities at the UCLA Institute of the Environment. Dr. Pincetl conducts research on environmental policies and governance is expert in bringing together interdisciplinary teams of researchers across the biophysical and engineering sciences with the social sciences to address problems of complex urban systems and environmental management. Dr Pincetl has written extensively about land use in California, environmental justice, habitat conservation efforts, water and energy policy, socio-technical systems and urban ecology. She has received funding from the National Science Foundation to conduct collaborative research with biophysical scientists on urban ecology and water management in Los Angeles, as well as from the California state Energy Commission PIER and EPIC programs. Her book, Transforming California, the Political History of Land Use in the State, is the definitive work on land use politics and policies of California. She is the leading author of the urban section of the Southwest Technical Report to the National Climate Assessment and a contributing author of the urban section of the National Climate Assessment. Dr. Pincetl has a PhD in Urban Planning and teaches at UCLA. She has taught at the University of Paris, the Institut de Sciences Politiques, has received a number of Fulbright scholarships and been a Senior Scholar at the Institute for Humanity and Nature in Kyoto Japan.